These used Lenovo ThinkCentre computers are preloaded with ArcaOS. There is one volume with the ArcaOS installer, and one volume with a ArcaOS installed. The computers come in three sizes which are named mini-tower, small form factor, and tiny. The mini-tower has space to add drives internally. The small-form factor has much less space. The tiny takes laptop technology to make the smallest desktop possible. All three can easily be opened to swap drives. 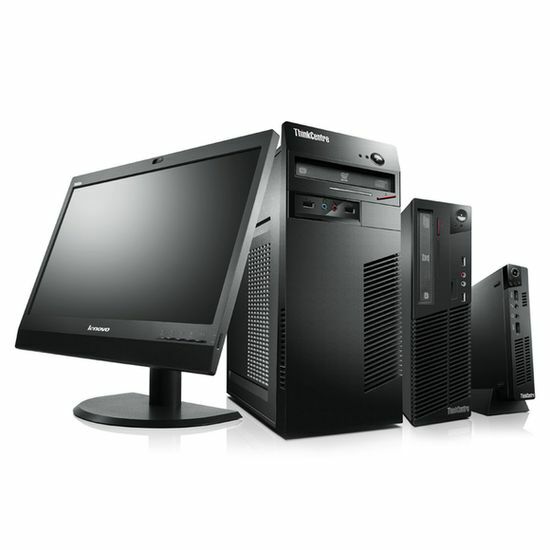 This is a small form factor desktop that is a better choice for people requiring PC-DOS compatibility. This is a tiny computer that is a better choice for people requiring a small, energy-efficient desktop.